The race -- 5k loops on the surface road. Each loop is run on the surface road and is fast! 1 loop for 5k and 2 loops for the 10k! The view is perfect, overlooking the ocean, just steps away! Enjoy the Summer and join us for some fitness and fun! 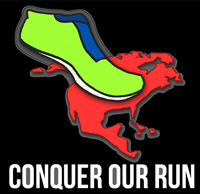 Welcome to Conquer Our Run’s iconic Dockweiler State Beach course. Join us for a love filled morning and bring your Dads, Moms, children, girlfriends, husbands, wives, partners and friends should join you for an early morning run and breakfast! The beautiful beachfront scenery and conquest friendly running environment is the perfect place to conquer your limits 1 run at a time. 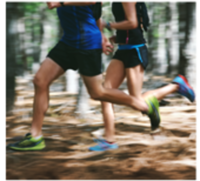 We dare you to join us and run further than you have before! Accept the Challenge! (NON-REFUNDABLE) on asphalt service road. Parking: There is plenty of free parking along the street above the beach. For more convenient Conquest parking, for a $8-$13 FEE enter via the entrance at Vista Del Mar and Imperial Highway (north of the Hyperion Water Plant), but there is a parking fee. Imperial Highway and Vista del Mar. Starting line is at the 1st parking lot just north of the parking kiosk.